It is amazing to think that we are able to study the demise of a galaxy and the subsequent interaction of gases with two adjacent galaxies. And oh yeah, these galaxies are located about 49+ million light-years away. 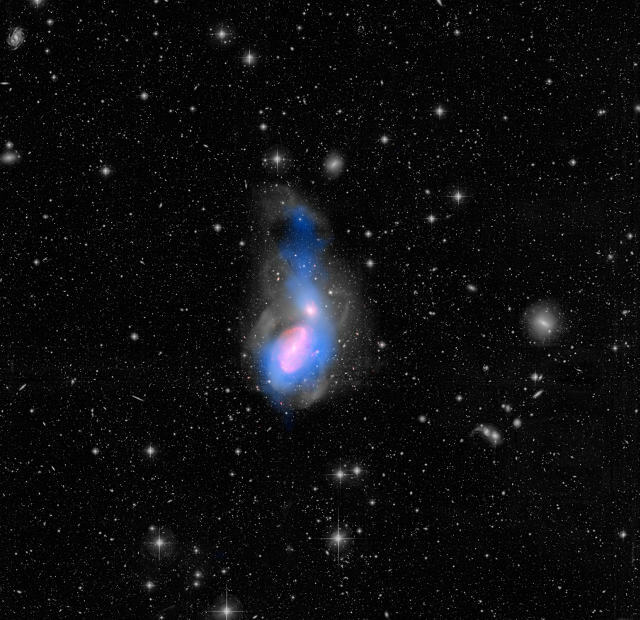 The two galaxies are NGC 3226 (top) and NGC 3227 (bottom) with the areas in blue representing warm gas that is moving into the former. 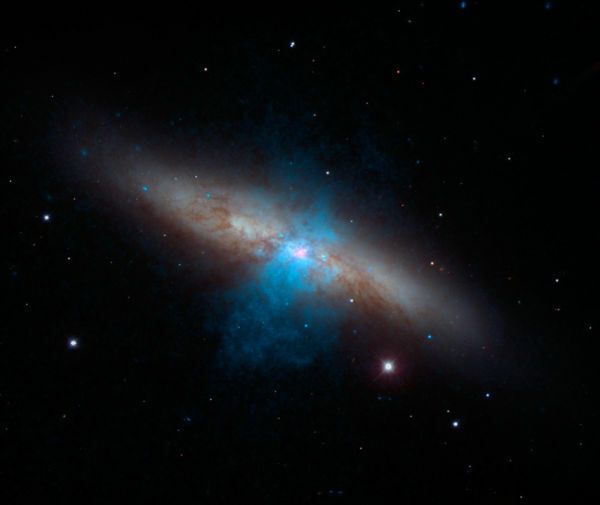 This picture and the related data comes from the European Space Agency’s Herschel space observatory, NASA’s Hubble and Spitzer space telescopes (including Spitzer’s infrared camera). The blue coloured areas represents cool hydrogen gas ‘seen’ via radio waves and the redder areas are warmer gas and dust captured via their infrared emissions. A perfect picture in time for the holidays. Whether you celebrate Christmas, Hanukkah, Kwanza, Festivus (or something else or nothing), this time of the year has a festive vibe in many places across our world and maybe even out of this world. This composite image from constellation Canis Major shows spiral galaxies in a one of a kind light show. 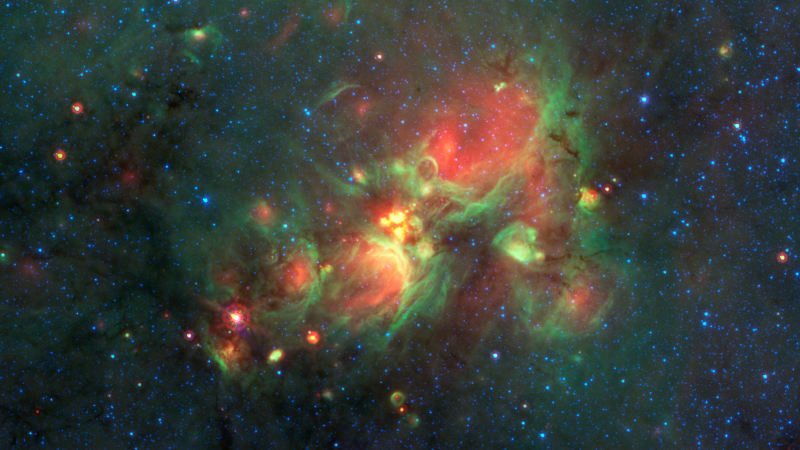 NGC 2207 and IC 2163 are about 130 million light years away from Earth and were captured by three NASA missions. 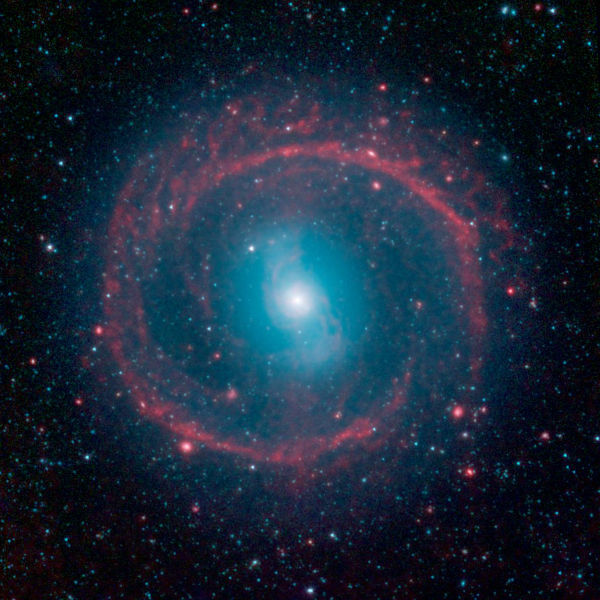 The x-ray spectrum data was provided by Chandra X-Ray observatory; visible spectrum by Hubble Space Telescope and infrared spectrum data by the Spitzer space telescope.